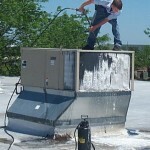 Cleaning the fins and coils on the facility’s HVAC units. It’s messy, expensive and time-consuming. It takes chemicals, an arsenal of tools, patience and man hours to scrub the seeds, leaves, pollen, construction debris, insects and more from coils with long, thin brushes threaded into the unit to reach the individual layers of fins. Typical cost per unit? Anywhere from $500 to $6,000. 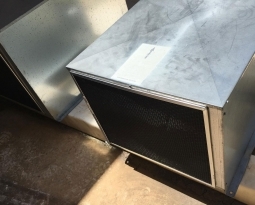 Chances are you’re doing it at least twice a year since a dirty unit can block critical compressor air flow, make your unit work harder and run hotter and hike your energy costs. Here’s a suggestion: Don’t let the coils get clogged and fouled in the first place. That’s the idea behind PreVent Air Intake Systems. 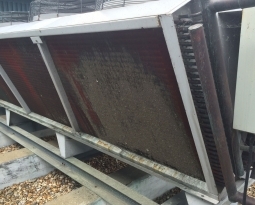 Once applied over a clean coil, a PreVent custom-fit filter screen draws in and traps the nasty stuff BEFORE it reaches your unit. The filter is easy to clean in place — go over it with a shop vac or brush it down with a broom. 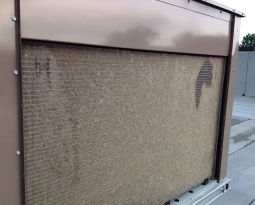 As needed, take the filter off, rinse lightly with a pressure washer or hose and put it back on. Coil-cleaning maintenance with PreVent? 10-15 minutes. 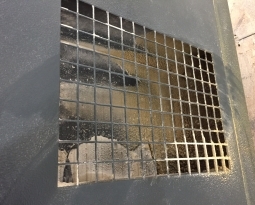 Check out PreVent screens in action at a busy international airport with extra-large air intakes and at a Seattle biotech company with a bird problem.